How to become a "Franconian Honorary Beer Drinker of the four World Record Breweries"
The Fränkische Schweiz - Franconian Switzerland - is a culinary experience for beer friends. There are 71 breweries located within an area of about 2000 km². Here, the municipality of Aufseß is especially worth to be mentioned. 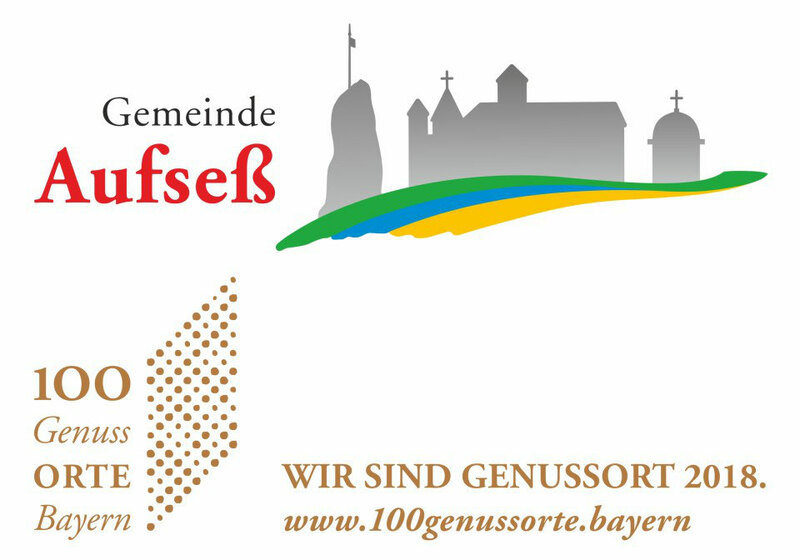 With her four breweries and only 1500 inhabitants, Aufseß is world record-holder for the greatest brewery density and therefore has been listed in the Guinness Book of Records since September 2000. You get a breweries hiker pass at the first brewery inn to which you go. Have your hiker pass stamped with the visit of all the four brewery inns and you will get as souvenir a certificate in return that identifies you as "Franconian Honorary Beer Drinker of the World Record Breweries". But we don't forget the kids and hikers of the path, who don't drink beer, either. They get the document of a "Breweries Path Companion". Starting point and direction of the circular breweries path is up to your choice. Not only the regional food will delight your taste buds, also your eyes will enjoy the beautiful scenery and you will appreciate the well marked walking tour. In Aufseß you are welcomed by the Castle Unteraufseß. This almost 900-years old castle in the Aufseß-valley, was 150 years ago the ancestral home of Baron Hans von und zu Aufseß, the founder of the Germanisches Nationalmuseum in Nuremberg. You may join a guided tour through the castle with family chapel, the castle church built in the 18th century, and the oldest part, the Meingotz-Steinhaus from the 12th century. Castle Unteraufseß can be visited from 1st April to 31st October at 11 am and 2 pm. The second still existing castle in possession of the family von Aufseß you meet in Oberaufseß. This one is still lived-in privately and not open to the public except for theatre performances by the Landesbühne Oberfranken. Here, the walking route runs through a part of the former castle garden. So, have a phantastic view from the Galeriefelsen (gallery rock) or take a look to the Swiss-house cave. Walk past the idyllic rock-garden in Neuhaus and admire the impressive rocks named Himmelsstäuberer, Alter Fritz or Taschnersfelsen. This rocky area is embedded in a juniper heathland and it is actually reflecting the original landscape of Frankonian Switzerland. On the outskirts of Sachsendorf you find the Mühlholz, a biotope with a large variety of rare Jura plants.